Pictured from left to right are Exeter-Milligan third graders Braden Capek, Katelyn Babula, and Briana Capek. 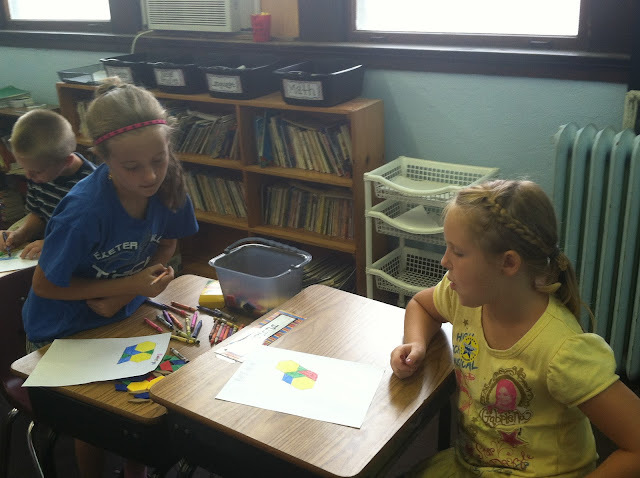 This year, the elementary at Exeter-Milligan has implemented the Saxon Math Program. So far this year, we have covered many topics including identifying shapes. In this particular activity, students were asked to construct and draw a design given different shaped pattern blocks. They were given certain directions and only able to use given shapes. Their creativity shined with many different ideas and patterns. In this picture you can see students collaborating on their designs.